LBW - Always well equipped! 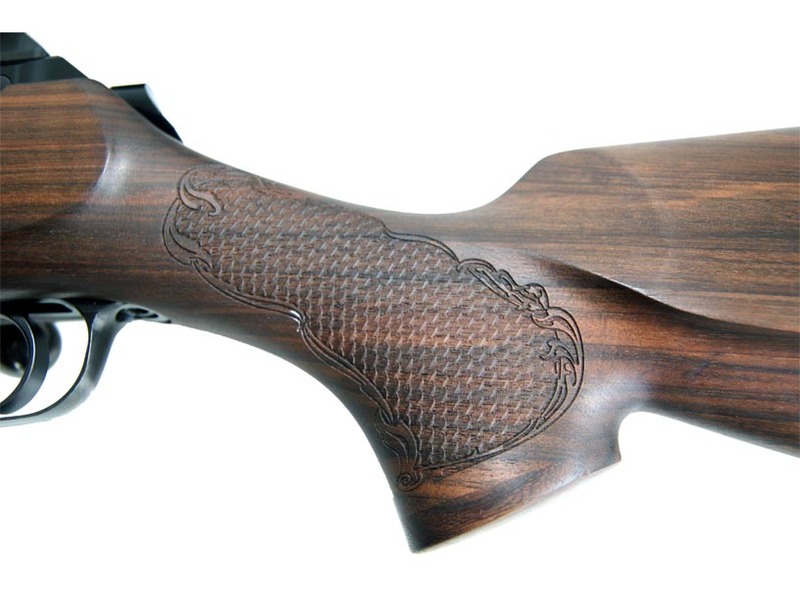 LBW Luxury / F Carbine Features in addition to those in the Standard: Manual cocking, high-quality stock with detachable sling swivel / optional: full stock "Stutzen"
* To refine your LBW rifle using a unique wood quality stock, you have a range of different upgrade stocks to choose from available at our premises. 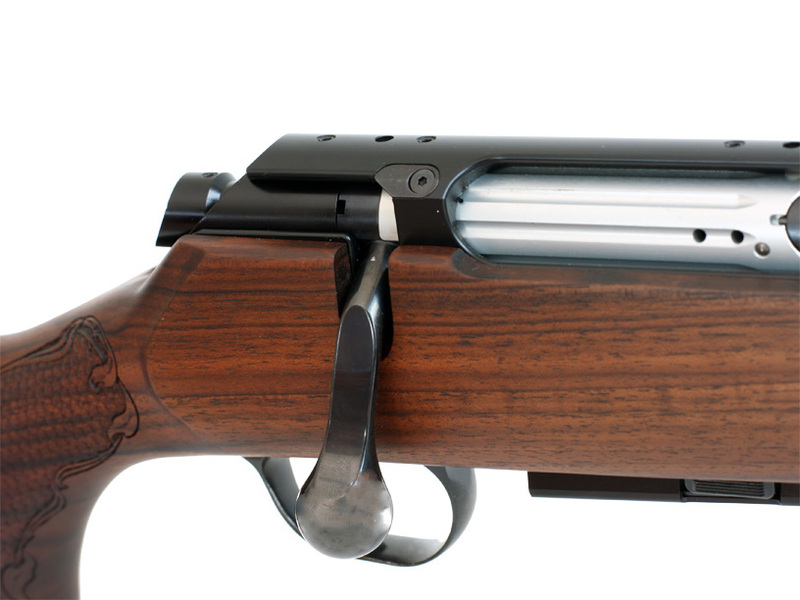 Barrel length 60 cm / 24", optional 55 cm / 22", 65 cm / 24", LBW-F: 52 cm / 21"
222 Rem. 6,5x55 6,5x63 Messner Mag 7mm Rem. Mag. 338 Lapua Mag. 243 Win. 338 Win. Mag. Calibre bolt head size Magazine No. The LBW model range is light-weight, versatile with an outstanding value for the money. All models have a Switch Barrel option including the exchange of bolt-head and magazine (depending on caliber) in either 3+1 or 5+1 Magazine capacity. Take Down LBW-D The Quick Detachable Stock makes the Take Down a universal firearm. You can choose between different stock variants (hunting, stalking) of either selected wood or syntethic. 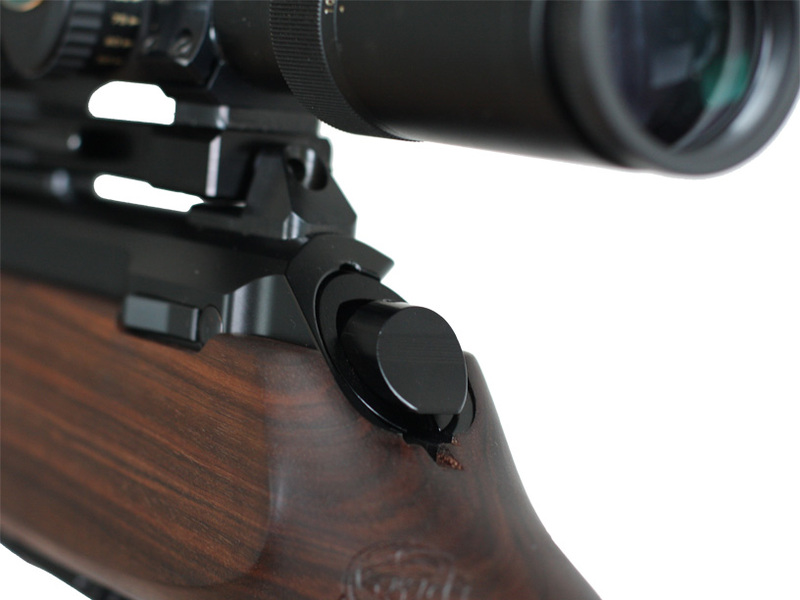 Carbon LBW-C The Carbon Barrel makes the rifle up to 300 grams lighter, more stable and reduces recoil. In addition, a muzzle brake is available on option. The exclusive surface is robust and corrosion resistant. Those who are in pursuit of an allrounder, are best advised to opt for the LBW. The principle of minimum is applicable here: "minimum baggage with maximum options" - on hunting jaunts, or at the shooting range.